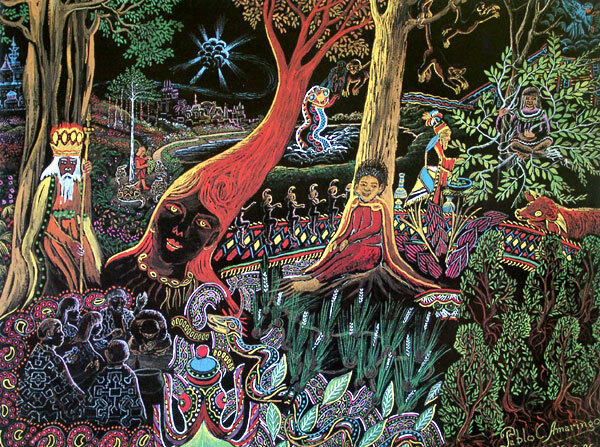 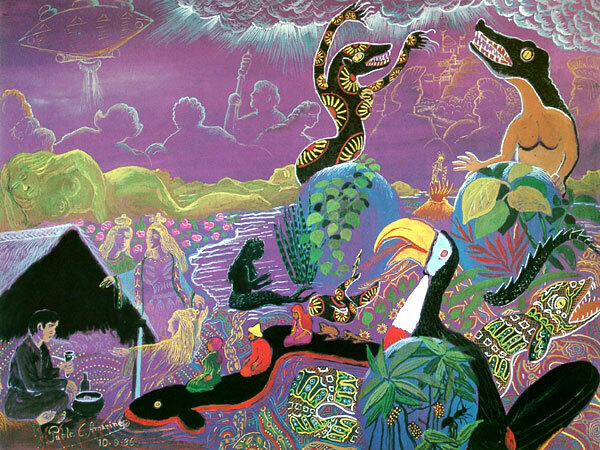 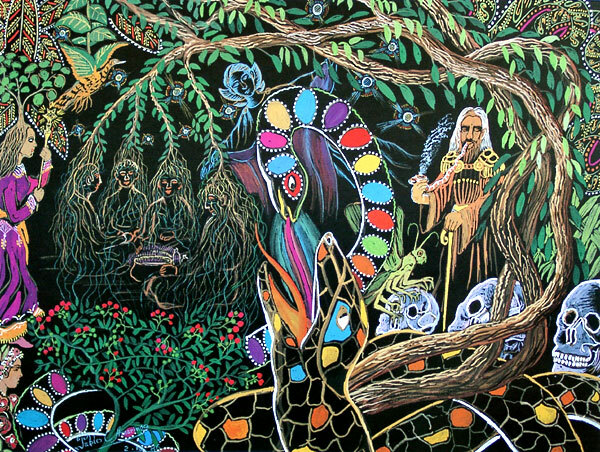 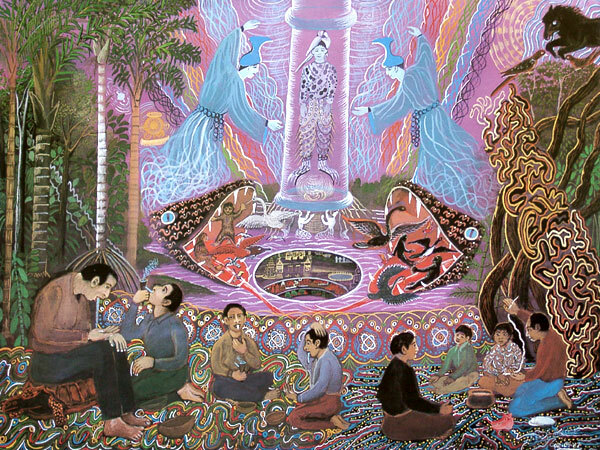 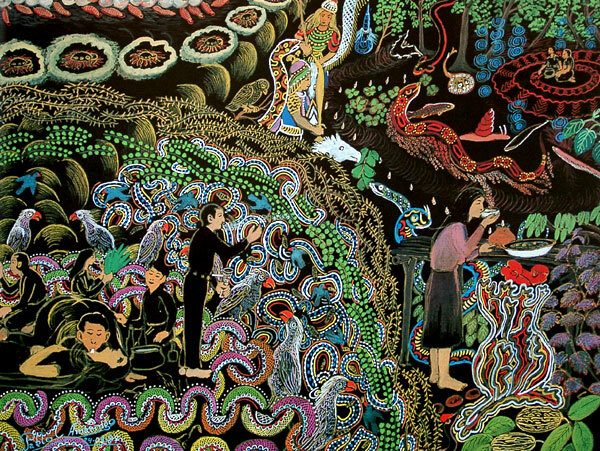 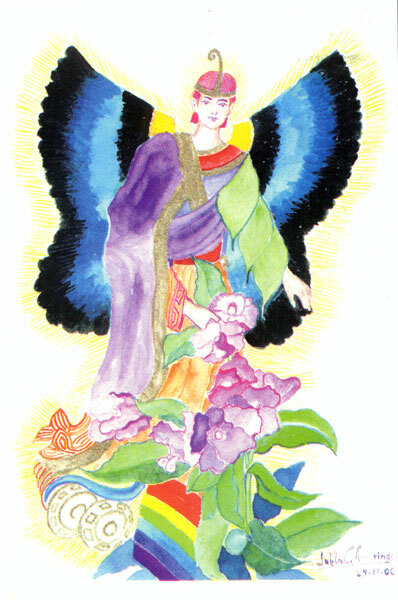 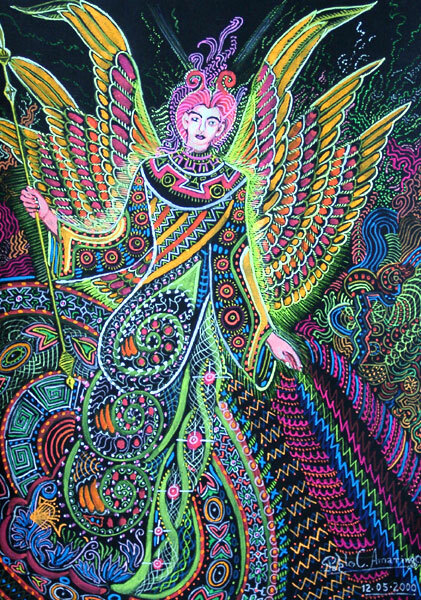 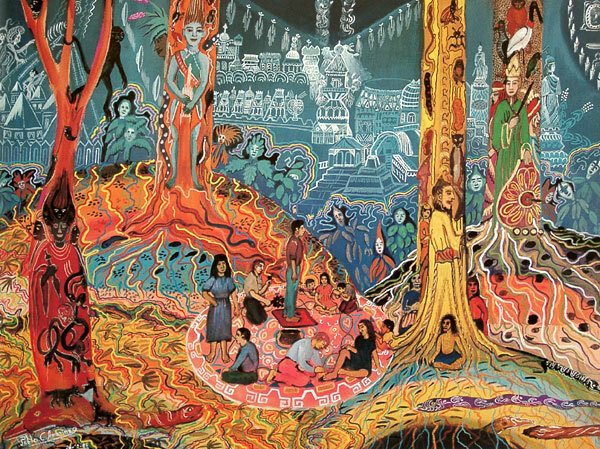 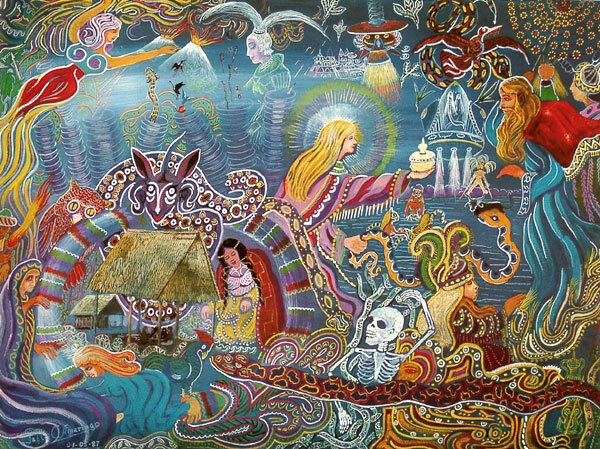 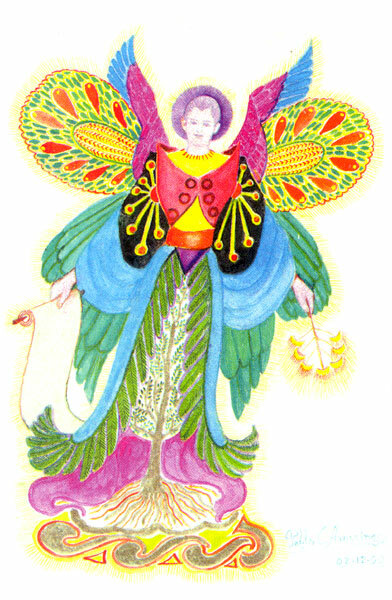 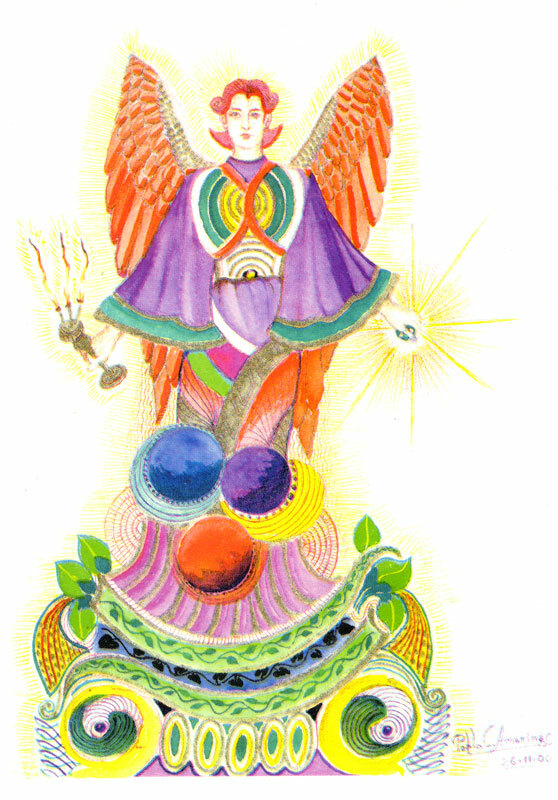 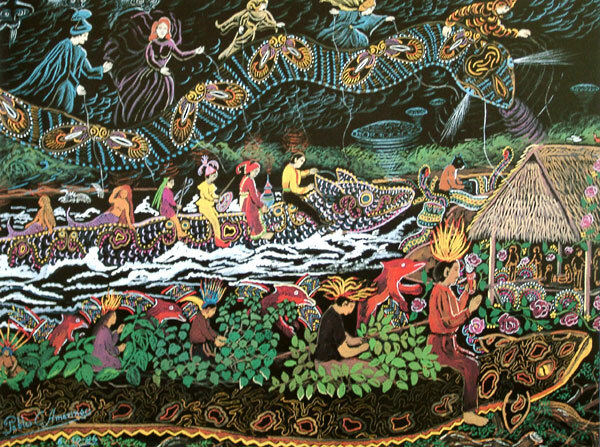 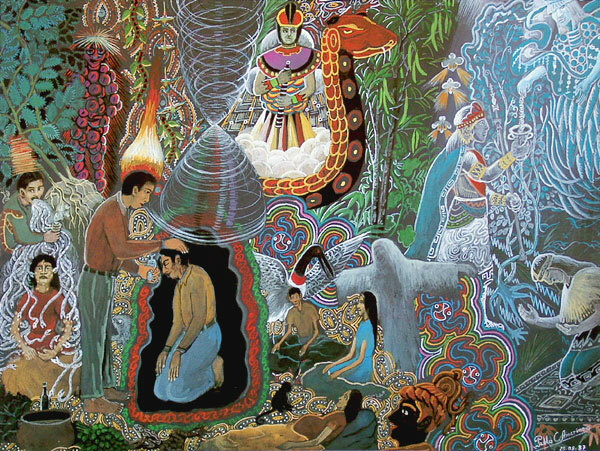 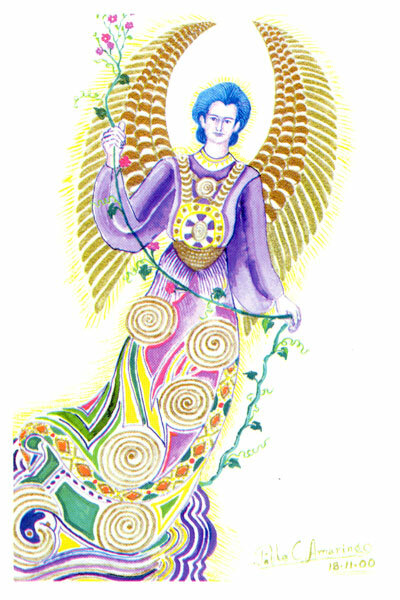 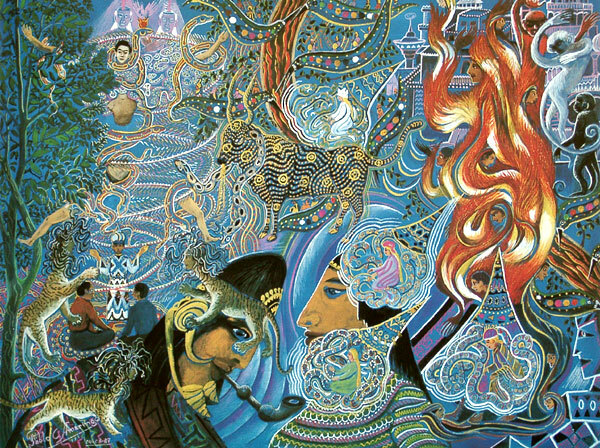 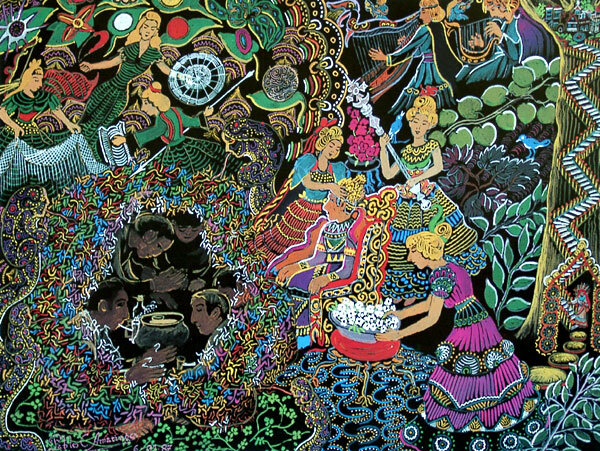 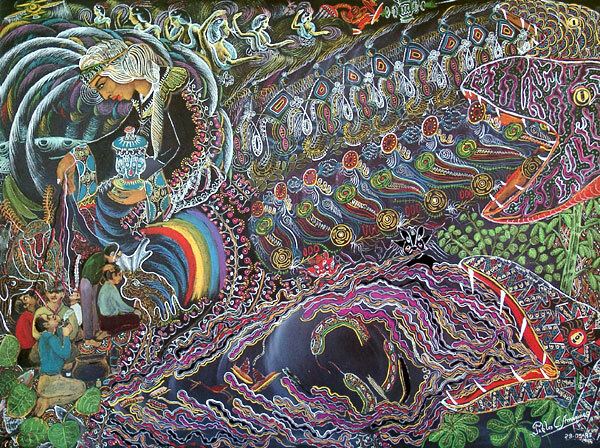 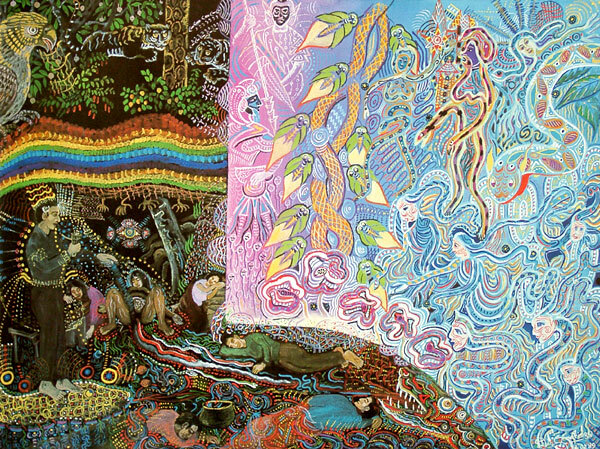 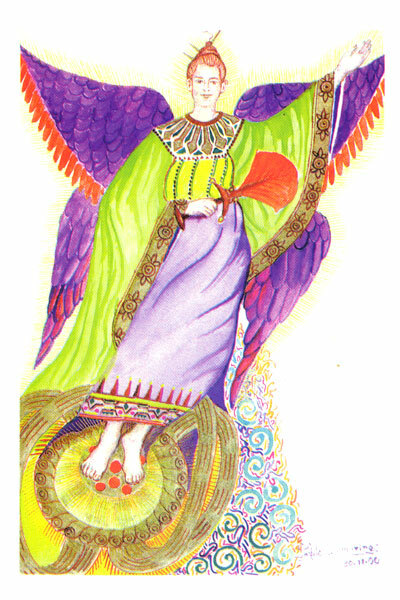 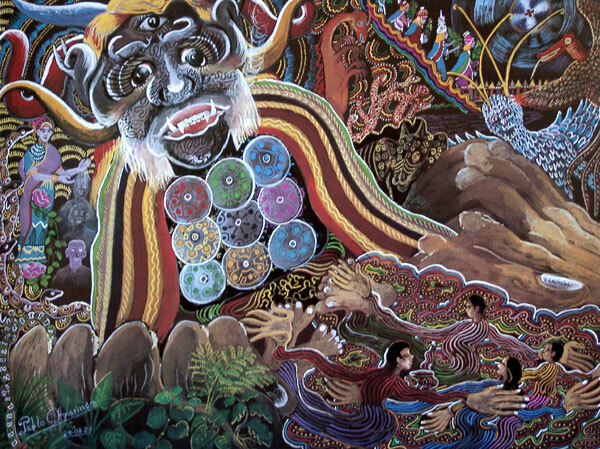 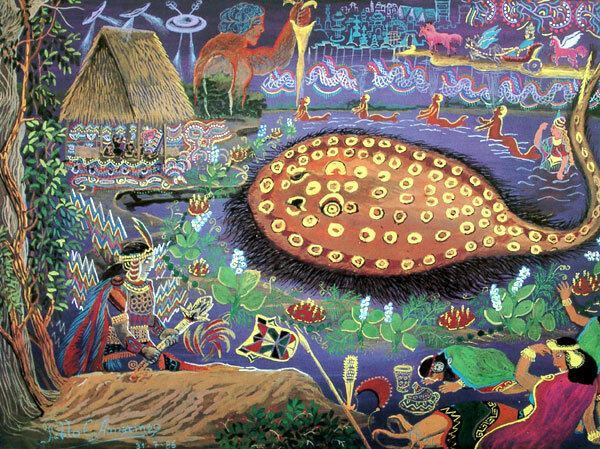 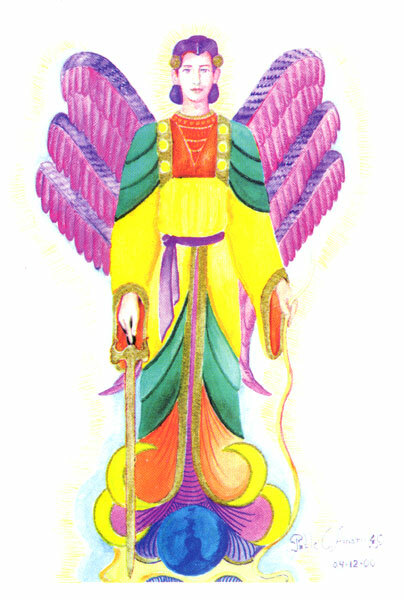 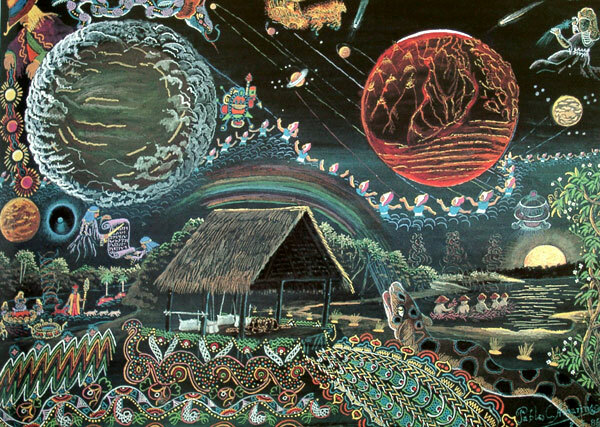 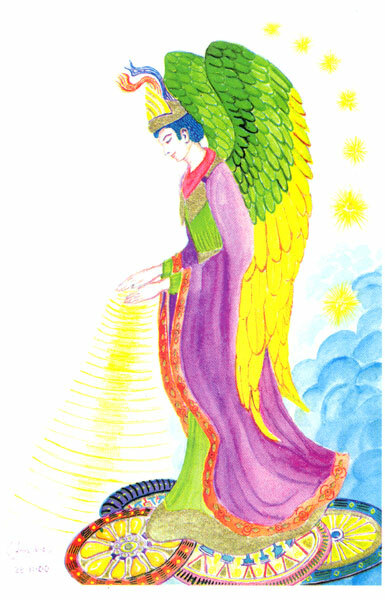 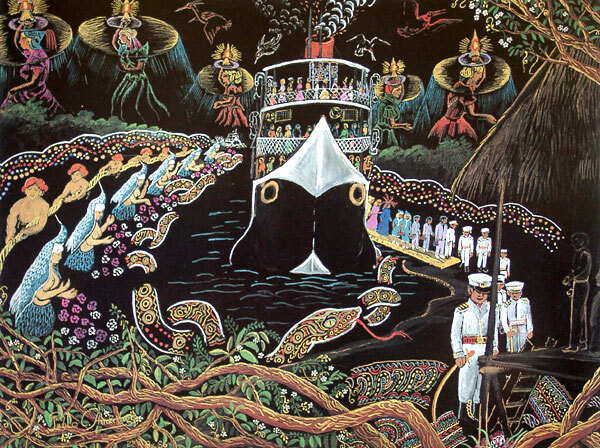 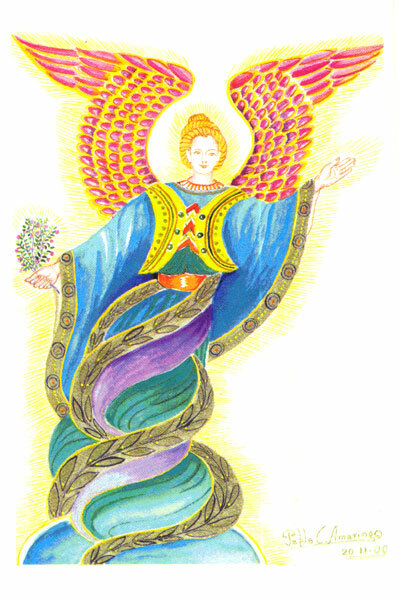 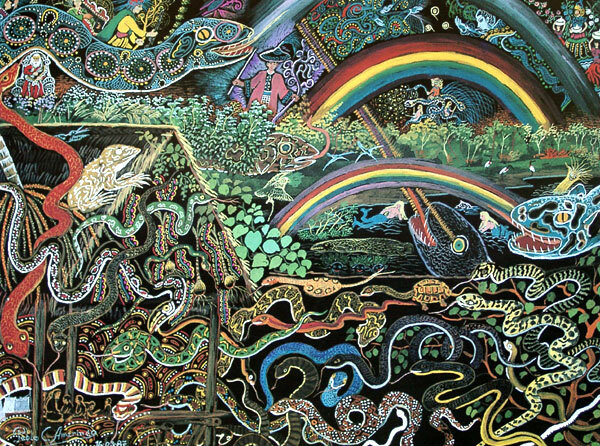 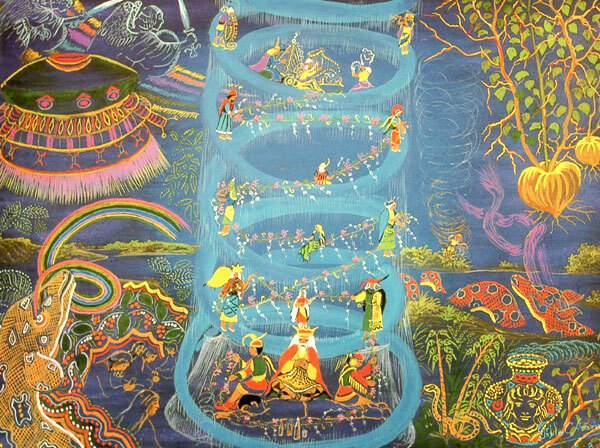 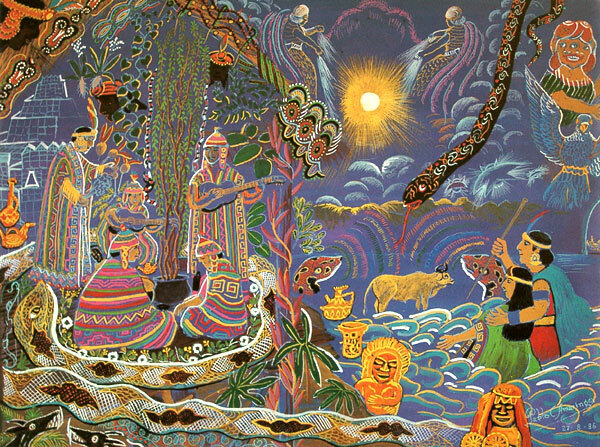 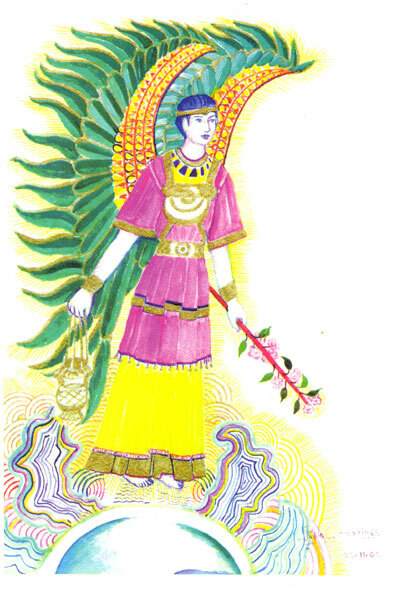 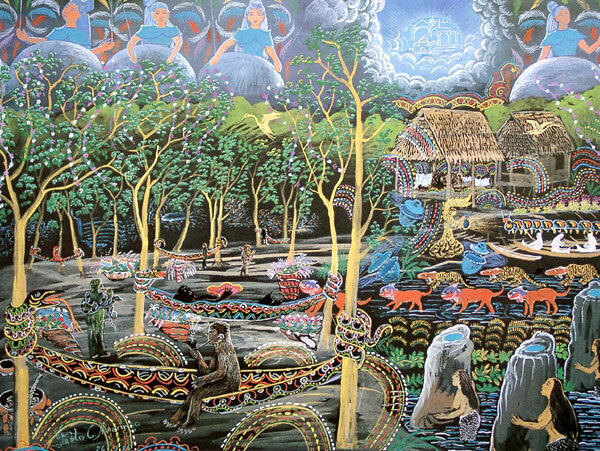 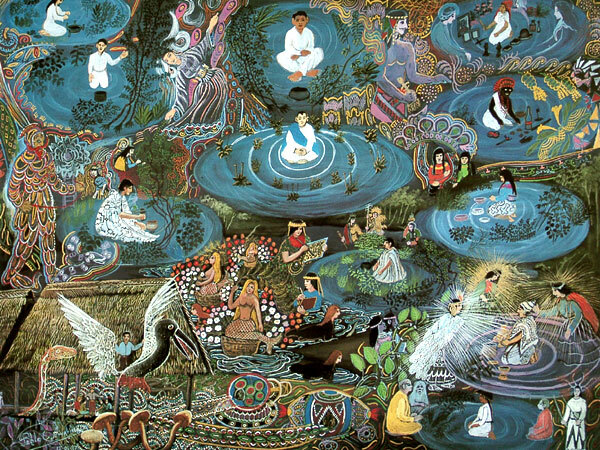 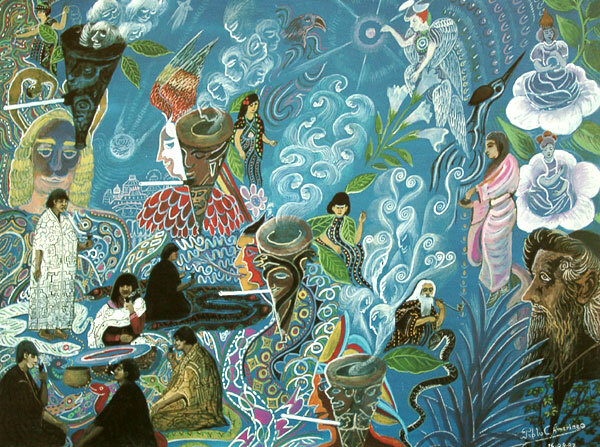 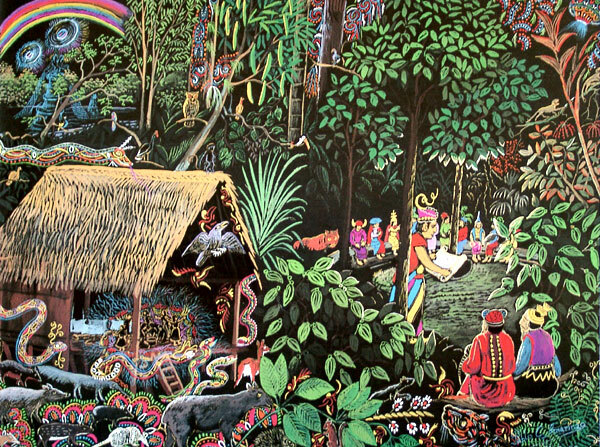 You can also download a PDF which includes Pablo’s description of his paintings: Ayahuasca Visions by Pablo Amaringo. 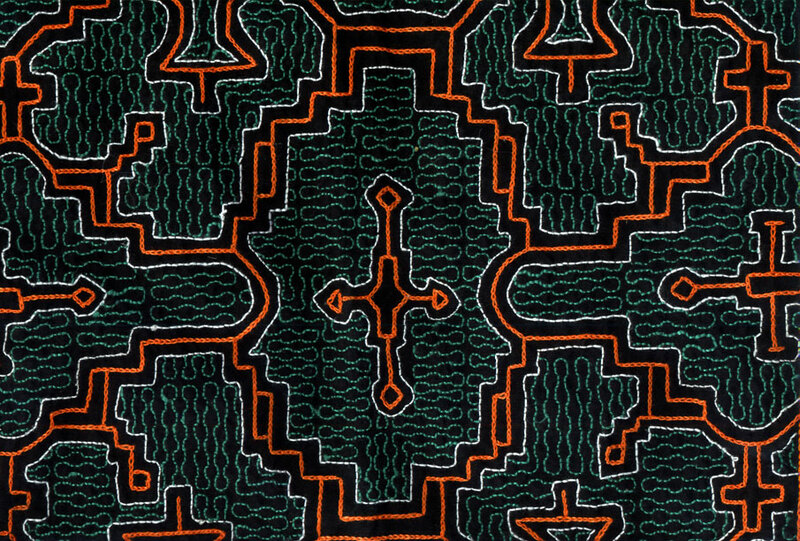 Here’s some examples of textile patterns that the Shipibo-Conibo people of Peru are noted for. 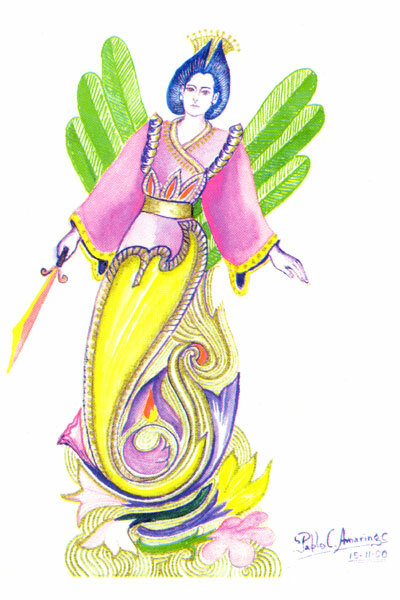 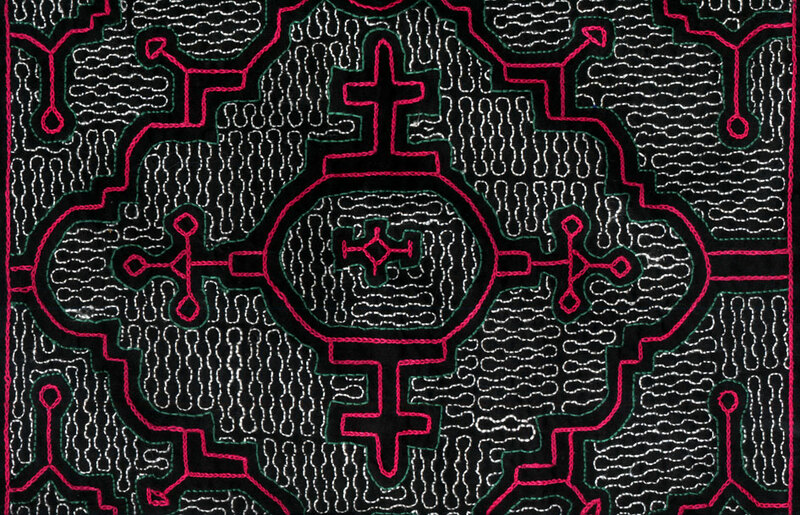 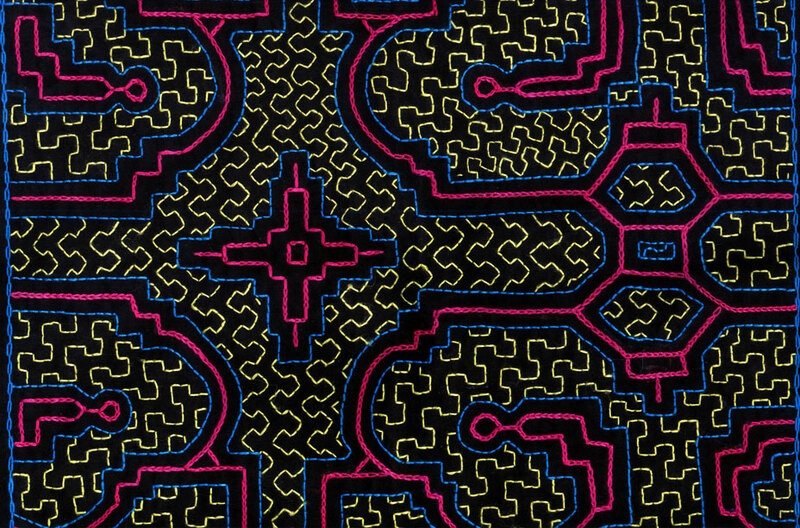 These designs are inspired by ayahuasca visions, and can also be found on Shipibo pottery, which in turn is seen in many paintings by Pablo Amaringo.